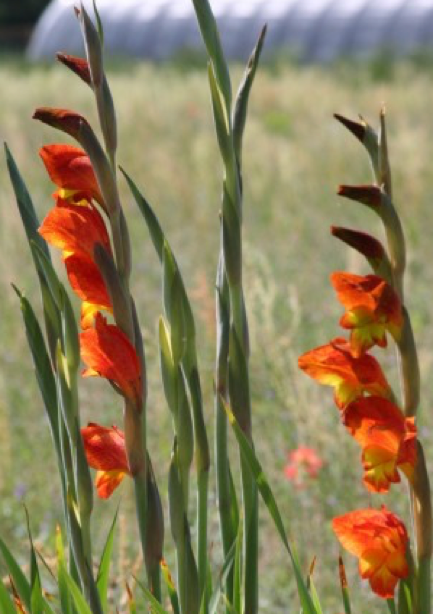 Gladiolus natalensis, sometimes known as the parrot gladiolus is considered an heirloom plant for our area. This species can be left in the ground and grown as a perennial. Flowers of this species, which is native to Africa are a brilliant combination of yellowish green and red. The plant matures to about 4’ tall and blooms in late spring to early summer.